Your pantry is home to most of the ingredients that end up entering your body, assuming that you cook most of your meals at home. That means what you allow to enter into your pantry should be food—real food, not food-like products that contain a long list of unpronounceable ingredients. This is the biggest key for reducing risk of disease. In my previous article, How to Read a Label: The 5 Most Important Things to Look For, I recommended reading your ingredient list before reading the numbers on the nutrition label. The ingredient list will help you to decide if the product is a real food or not. If you can pronounce all ingredients in the ingredient list and picture them sitting in your pantry then you can most likely consider it a real food. In addition to ensuring that your pantry is stocked with real foods, I recommend incorporating staples that provide plenty of nutrient-density. Think of your pantry as your medicine cabinet. There’s potential for it to provide many of the key nutrients that act as co-factors in virtually every biochemical process that occurs in your body. Here are some of my top pantry recommendations that I always have on hand because they are delicious, convenient and nutrient-dense. Any kind of herbal tea is a great addition to a nutritious pantry. My pantry is always stocked with a variety of herbal teas like berry tea, peppermint tea, and cinnamon tea. Drinking a few cups of herbal tea each day helps regulate your body temperature, optimizes hydration, and increases your intake of anti-inflammatory properties. 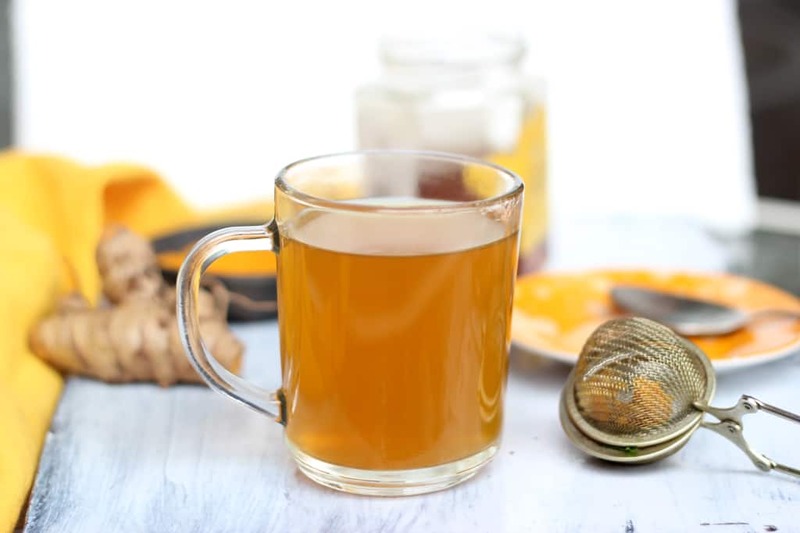 The best way to get maximal benefits from herbal tea is to incorporate two powerful antioxidant-rich spices, turmeric and ginger, by drinking turmeric ginger tea. Turmeric contains curcumin which has been shown in research to have several anti-inflammatory properties. There are many animal studies demonstrating a reduction in inflammation associated with the intake of curcumin. Its ability to reduce free radicals and upregulate the body’s detoxification pathways allows turmeric to enhance chelation in the body. Ginger also has many anti-inflammatory, healing benefits such as reducing muscle pain, decreasing nausea, and improving indigestion. Watch out for this powerful combination of turmeric and ginger in loose leaf tea or tea bags. Pour yourself a few cups each day and enjoy the nutritional benefits! Sunflower seeds are the perfect pantry staple because they are easy to incorporate into a lot of different dishes while also providing high levels of many nutrients. 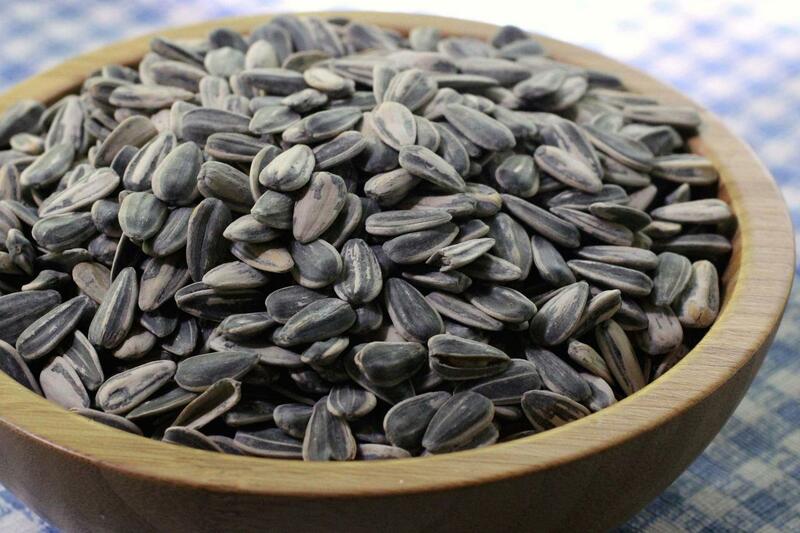 In addition to being a rich source of protein and unsaturated fats, sunflower seeds are also loaded with vitamin E, selenium and pantothenic acid. And good news for those that don’t eat dairy: sunflower seeds are a plant-based source of calcium which helps promote healthy bones. Try throwing them on a salad, eggs, roasted vegetables or adding them to a food processor to make sunflower seed butter! Many people are opposed to the idea of eating sardines but it happens to be one of the most nutrient-dense pantry foods that exists. There’s lots of nutritional benefits to eating sardines and any other kind of omega 3 rich fish 2-3 times per week. These tiny fish are loaded with beneficial omega 3 fatty acids which are well known for the ability to reduce inflammation and optimize brain function. Omega 3 fats are essential for a healthy brain and sardines are one of the fastest and easiest sources. Another perk is that sardines are loaded with calcium, another way to get this micronutrient without consuming dairy products. If you are brave enough to give them a try, be sure to buy sardines that are sold in a BPA-free can either in water or extra virgin olive oil. Add them to a salad or eat them by themselves topped with the PaleoChef Wing Sauce or Greek Vinaigrette. While this pantry item does not fit strict paleo standards, it’s a perfect pantry staple for those of you with some flexibility in your diet. Lentil pasta is a gluten-free pasta alternative made from lentils but you can also find other bean-based pastas that are derived from chickpeas, black beans, and other legumes. This is an easy way to create a protein and fiber-rich meal while also helping to avoid an overconsumption of animal-based protein. While the lentil pasta is still moderately high in carbohydrates, this type of carbohydrate is absorbed slower than refined pasta and even whole wheat pastas. Much of the benefit is due to the protein combined with the soluble fiber found in lentils that aids in slowing down the release of sugar into the blood. As an added benefit, lentils are a really great source of folate, potassium, vitamin B1 (thiamin) and iron. Almonds are an amazing pantry staple because they are filled with heavenly flavors and also provide an abundance of nutrients such as healthy fats, vitamin E and magnesium. Healthy fats are imperative for balanced blood sugar level and cognitive function while vitamin E and magnesium both help support normal detoxification in the body. You will also find plant-based source calcium in a serving of almonds. 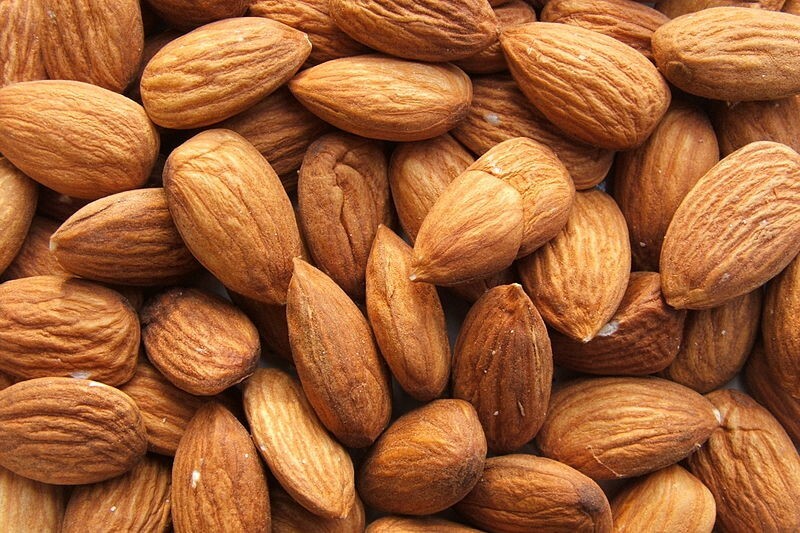 Almonds are an extremely versatile pantry ingredient, providing a nutritious snack and a staple for dairy-free cheese, homemade nut milk, almond meal, and almond butter. There’s not an easier source of protein powder than collagen, which is a substance derived from the connective tissue of animals. The benefit of using collagen powder as a source of protein is that it does not alter the taste or texture of smoothies, puddings, soups, or chia seed pudding. It easily mixes into a variety of drinks and dishes and there is no need to add sugar or stevia to mask the taste because it’s simply flavorless. Research has shown that collagen not only provides a good source of protein but also may be an effective treatment for osteoarthritis and joint pain relief in athletes. Additional benefits of collagen include hair and nail growth and skin rejuvenation. Many of the benefits associated with collagen likely stem from its amino acid profile which helps protect the lining of the small intestine and prevent leaky gut. Many of the pantry items on this list provide a quality source of healthy fats ie: raw almonds, full-fat coconut milk and sunflower seeds. We can add avocado oil to this ongoing list of healthy fats due to its high monounsaturated fat content and antioxidant function. The healthy unsaturated fats found in avocado oil help the human brain and body function more optimally. One study found that avocado oil consumption may help accelerate respiration in the mitochondria, even when exposed to free radicals. The study showed that when exposed to free radicals that avocado oil may be able to offset the damaging effects and preserve energy function in the brain. The oils found in avocados contain 75% monounsaturated fats, in addition to many other important nutrients such as potassium, biotin, and pantothenic acid. 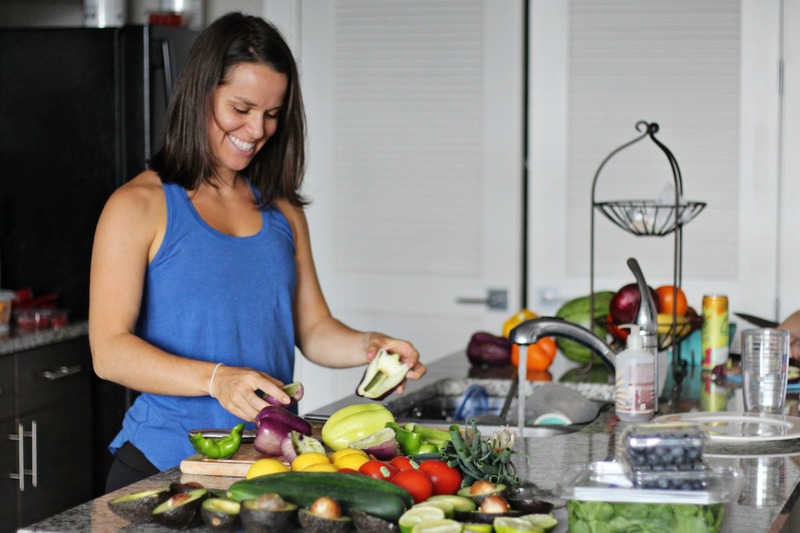 Brigid Titgemeier, MS, RDN, LD is a functional medicine dietitian nutritionist at the first hospital-based functional medicine center in the country and an adjunct instructor in Cleveland, OH. Brigid is a published author of dozens of articles for U.S. News and World Report, the Huffington Post, Cleveland Clinic Health Essentials, and ivillage. When she’s not working she’s usually in her kitchen experimenting with and photographing new recipes for her blog, Beingbrigid.com. She is completely in her element when she is cooking in the kitchen, practicing yoga, listening to her favorite country artists and relaxing with family and friends.